Founded in 1933, Fracarro is today one of the most important companies in reception and distribution of audio video data signals and active security areas. The synergy between the two sectors allows us to offer integrated solutions for the creation of buildings and smart-homes. Since the beginning, our promise is always to ensure high quality solutions, with particular attention to planning and assistance services to operators in the sector. 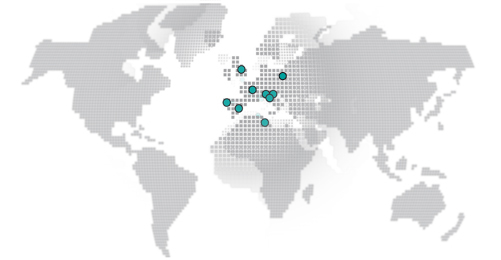 The headquarters is based in Castelfranco Veneto, Italy, but the horizon is very wide: Fracarro operates in all 5 continents through its subsidiaries and production companies or distributors. Born in 2002, as part of the international expansion project that followed the acquisition of Philips SMATV. Fracarro UK aim to develop the English market, technologically advanced and able to use the most advanced products of the Group’s catalog. An internal engineering office works directly with public and private associations. Founded in May 2002 with the acquisition of Philips SMATV, Fracarro France represents an important milestone in the Group’s international expansion process. The company deals with audio and video products, with a complete range, and solutions for video surveillance systems. With the acquisition, Fracarro also bought the historic Portenseigne brand active in the market since 1937. Fracarro France has an engineering division in constant contact with architects, engineers, public and private design studios and associations (H.L.M.). Tunisian joint-venture founded in 1991. Fracarro Tunisie is specialized in the supply of electromechanical assemblies, electronic board assemblies, and tests for the Fracarro Group and for OEM customers. The high quality of its production processes is testified by the fact that Fracarro Tunisie has been one of the first companies in North Africa to have obtained ISO9001 certification.